"An Ordinall of Alchimy" is a Mildred’s Lane project organized by Mark Dion & Robert Williams, with Matt Bettine, Joey Cruz, Kathryn Cornelius, Gabriella D’Italia, Scott Jarrett, Aislinn Pentecost-Farren, John Wanzel, Laura E. Wertheim, and Bryan Wilson. 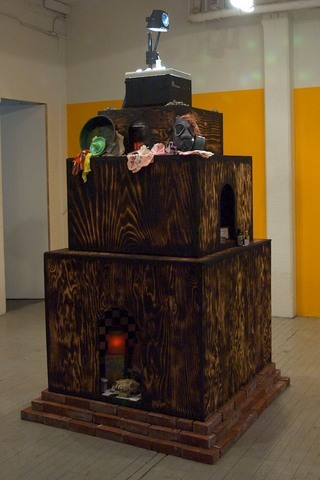 One exhibition, at Cabinet Magazine in Brooklyn, New York, ran from 30 March to 17 April 2010 and another, at The Slought Foundation in Pennsylvania, displayed from 30 April to 14 June 2010. Both exhibitions inaugurated "999", an occasional series of exhibitions presented by Cabinet in which artists are invited to assemble work under a single constraint: everything installed in the gallery must have been acquired on Ebay for a total of less than $999. When the exhibition comes down, its contents are offered for sale as a single item, once again on Ebay. 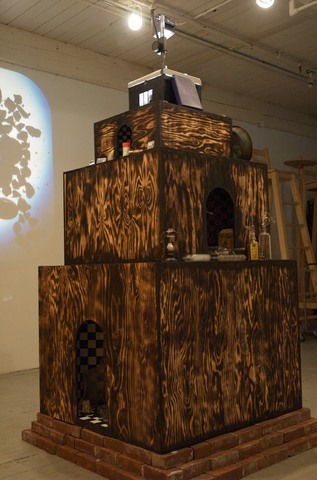 In 2009, Mark Dion, Robert Williams, and their students at the Pennsylvania artists’ colony Mildred’s Lane used Cabinet’s invitation as an opportunity to explore the theme of alchemical transformation. “An Ordinall of Alchimy” comprises the objects they assembled, a collection keyed to the seven basic processes of practical alchemy: Calcination, Fixation, Solution, Distillation, Sublimation, Separation, and Projection. In conjunction with the opening of the exhibition, Sal Randolph and McKenzie Wark joined Dion and Williams for a panel discussion titled “Spinning Straw into Gold - Art, Value, and the Alchemical Collector" on 27 March 2010 (audio attached).